← High DPI bug workaround! Porting widgets to the new template API… the LAZY way! 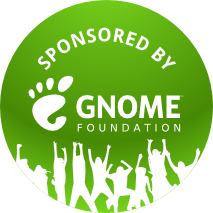 First of all I want to thanks everyone involved in GUADEC organization specially to the GNOME foundation for sponsoring me once again. It is been great meeting with old friends and making new ones! friend: How do I port my widgets to the new templates stuff? me: What kind of widgets? So we talked about it and told him if that he was that lazy not to redo all widgets in glade manually he could do some function that iterate over containers and spit some xml to get at least the hierarchy right. As we all know the lazier a programmer is the better, since it will end up writing a program to do its chores! I made a function you can paste in your program and use it together with libgladeui api to dump a runtime GtkWidget to an xml definition. And that is all you have to do if the widget is simple enough. This is obviously hacky code, it was not heavily tested and will probably make gladeui and gtk API complain a lot but it works pretty well for what is intended. BTW you have to link with gladeui-2.0 library for this code to work! I think that is all, happy porting! This entry was posted in Glade, GTK+. Bookmark the permalink. 1 Response to Porting widgets to the new template API… the LAZY way!